The Global Literature Reading Group meets twice a year to discuss a book about another culture. This year’s books are Born a Crime: Stories from a South African Childhood, by Trevor Noah (Nov. 15, 2018), and Tears of Salt: A Doctor’s Story, by Pietro Bartolo & Lidia Tilotta (Apr. 11, 2019). 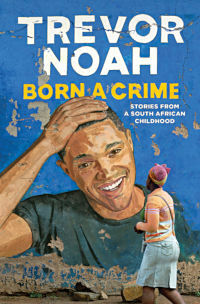 This fall’s book, Born a Crime: Stories from a South African Childhood, is a memoir by Daily Show host Trevor Noah about growing up the child of a Swiss white man and an African woman whose very relationship was a crime punishable by five years in prison. (New York Times Book Review, 11/28/16.) The discussion will be held from noon to 1 p.m. on Thursday, November 15, in Scholars Hall 103. Save the date on your calendar, order your copy of the book, and plan to join us for a brown bag lunch and a great discussion!